Gates, NY (December 18, 2018) – Tuesday night, December 18, police reported that a man was tragically killed following a pedestrian accident involving two vehicles. The accident occurred sometime after 5:00 p.m. at the intersection of Wegman Road and Buffalo Road in Gates, according to authorities. Police stated that the 28-year-old male victim had been walking across the above-mentioned intersection when he was struck by one vehicle moments before another one also collided into him. Both vehicles were traveling eastbound at the time and hit the man one right after the other. Police as well as paramedics were promptly on the scene to assist the victim and assess the incident. The critically injured man was immediately rushed to Strong Memorial Hospital but was unable to be saved. The name of the victim will be released once family members and loved ones have been notified. Both drivers who struck the man were reported to have remained at the scene and cooperated with authorities. Neither drugs nor alcohol is believed to have been factors in the collision. A thorough investigation into the events that led to this incident is ongoing. Our sincerest sympathies and deep condolences are wholeheartedly extended to the victim of this accident, first and foremost. 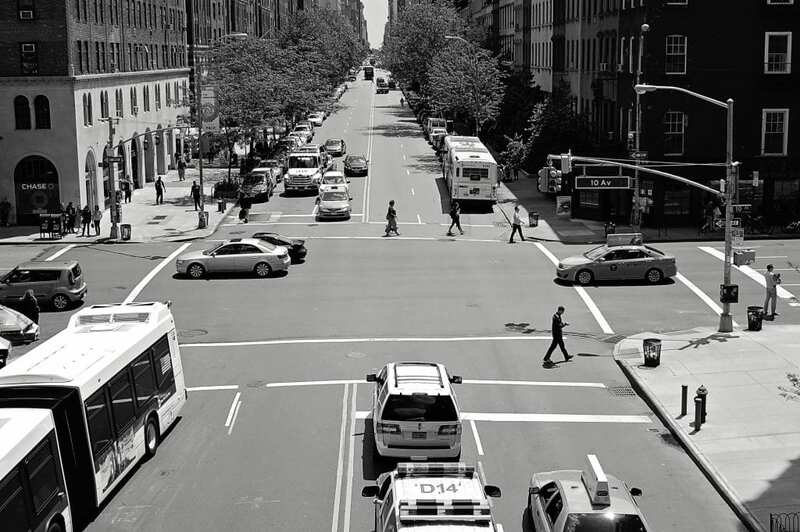 New York pedestrian accidents are often injurious or often fatal due to the susceptibility of the victim at the time of impact. While it can be extremely difficult, it is important for the loved ones of victims to know that they may have the right to file for compensation following such an unexpected loss. At Hach & Rose, we understand that there is nothing as traumatic as the sudden loss of a loved one. Our compassionate New York accident attorneys are here for you 24/7 to answer any questions you may have, as we are passionate about helping victims along the often difficult path toward obtaining full compensation. If you have lost a loved one in a pedestrian accident, please don’t hesitate to call 212-779-0057 today.